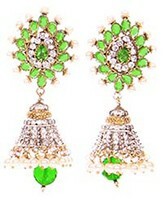 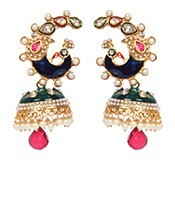 These are traditional Asian earrings featuring one or more hanging bell shapes / domes - for a more traditional look we advise single dome Jhuma but if you find chandelier earrings suit you then try a multi layer jhumki. 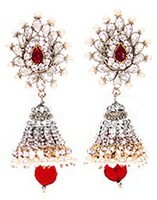 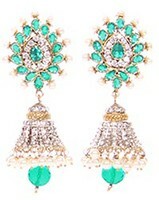 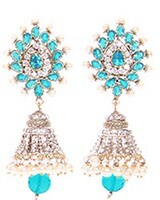 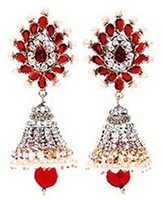 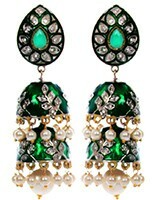 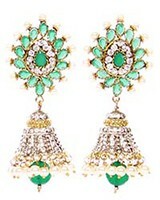 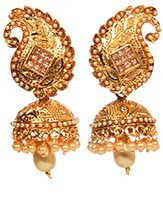 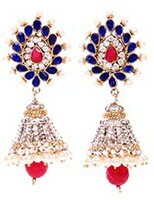 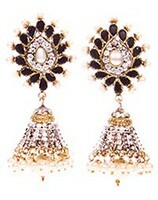 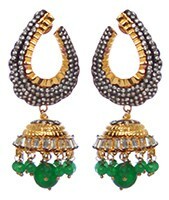 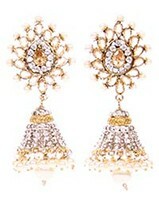 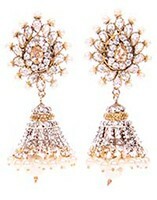 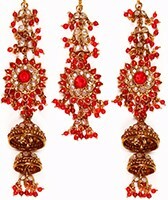 Jhumkas are very popular in the Punjab region of India and in Pakistan. At Indian Jewellery Store, we sell Jhumkis of various price ranges & quality to suit your needs - see the Range label on each product. 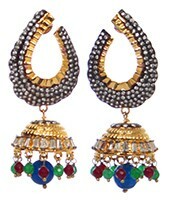 IJS ranges are as follows: Khazana, Premium, Regular, Budget.